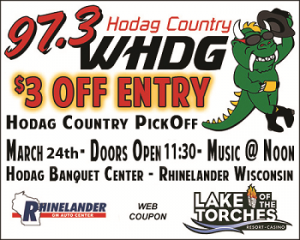 It’s Sunday, March 24th at the Hodag Banquet Center in Rhinelander! 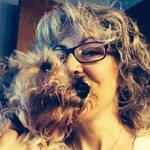 Get set for Live country music and fun! Local bands will compete for CASH and the chance to play on the Hodag Country Festival stage in July! If you’re in a local Country music band and would like to compete, contact Tina at 715-362-1975 Monday through Friday between 8 am and 5 pm. Or do like the kids do, and just show us the coupon on your smartphone when you arrive at the Pickoff!